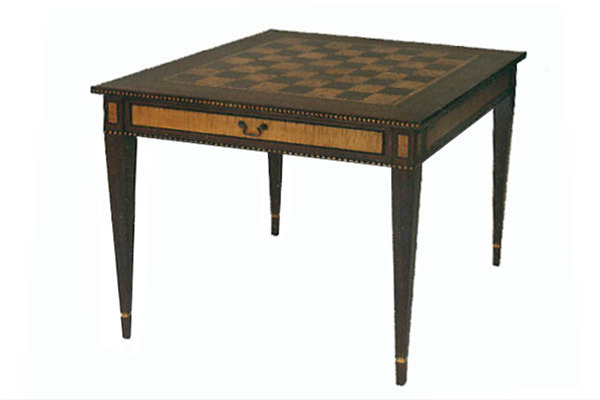 High style traditional game/card table. Mahogany, curly maple and maple burl. Two drawers and two pull out candle stands. All the bells and whistles.